Home /News /"Junior football needs to be reformed!" "Junior football needs to be reformed!" Many professional footballers – especially those from Spain and Latin America – spent a lot of their childhood having fun playing football on the street. By contrast, many young football players today are trained to become top athletes through a competition system that starts at primary school age but is not well suited to children. This is the belief of Prof. Dr. Dr. Matthias Lochmann, a sports scientist at FAU, which motivated him to promote the FUNiño competition and training system developed by Horst Wein, a German coach. His version of the game resembles the street football that children used to play. 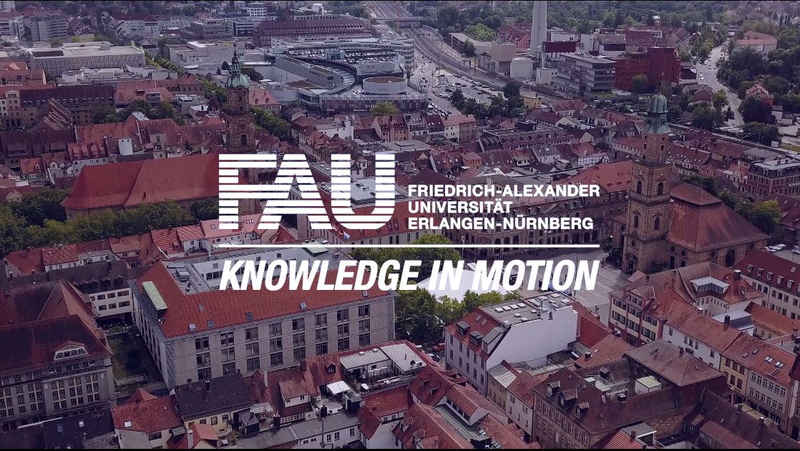 Prof. Lochmann, Chair of Sport and Exercise Medicine at FAU’s Institute of Sport Science and Sport, devotes his research and a large part of his spare time to developing better competition systems and training methods in sports – mainly football. 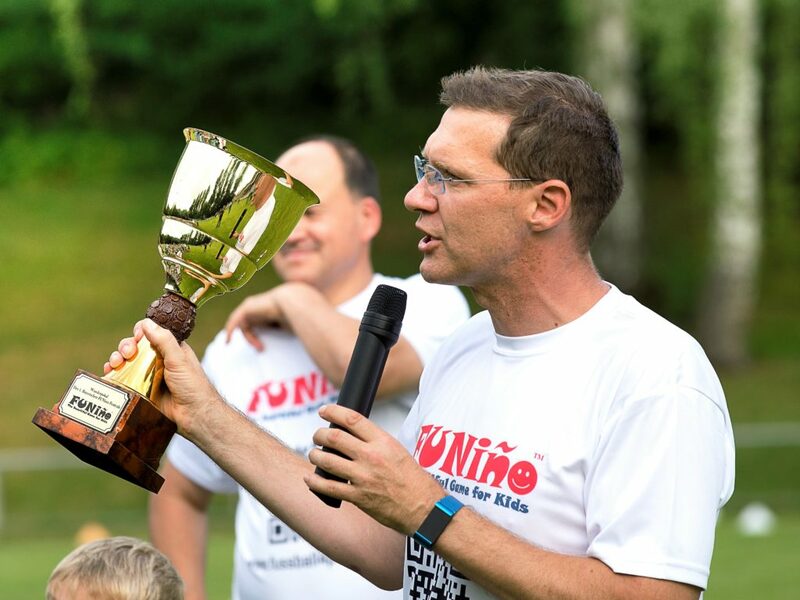 This is why he is committed to FUNiño, a competition and training system that was specially designed on the basis of children’s developmental characteristics. In FUNiño children play three against three on a smaller pitch, with a fourth player who rotates in and out of the game systematically. There is no goalkeeper, but there are four goals – two to attack and two to defend. One of the two goals that are defended is always defended by less players than the other. This goal is attacked by the player in possession with his or her team mates – allowing the players to learn how to attack with more players than the defence. Each child often has possession of the ball, has to constantly make decisions and has to run more. Because of this, FUNiño teaches children to control their bodies and to act quickly, meaning that players who train in this way have an advantage that goes beyond pure athleticism: a team with players who can anticipate scenarios quickly and make the right decision and are particularly good at controlling their bodies and the ball is better than a team that relies solely on power and stamina. These are the skills that FUNiño promotes in 6 to 10 year-olds. Researchers at the Chair of Sport and Exercise Medicine have been conducting research into the possibilities and limitations of different competition systems for developing the performance of young athletes for many years. Football is one of their main focuses – Prof. Lochmann’s team has even provided academic advice and supervision for the junior teams of 1. FC Nürnberg, SpVgg Greuther Fürth and FC Augsburg. In addition, the team also carries out research on using sport to promote health through prevention, treatment and rehabilitation.